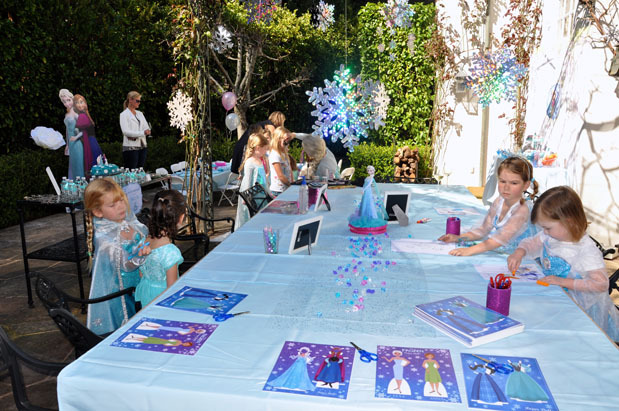 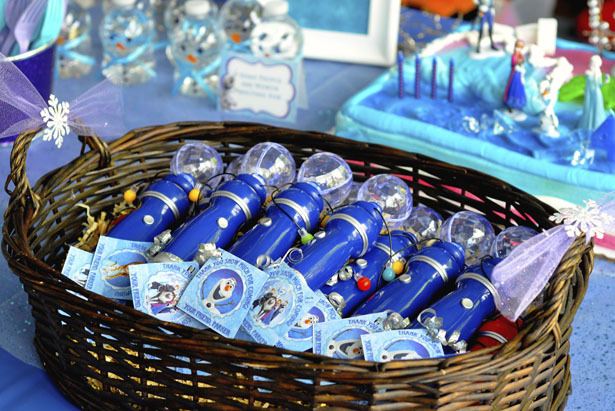 Your FROZEN fanatic will just melt at the sight of our sparkly, winter wonderland! 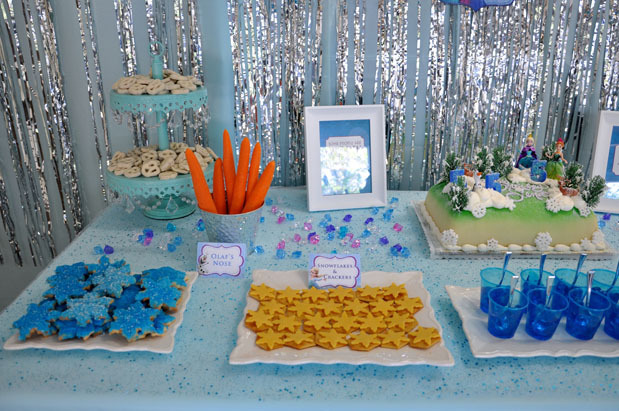 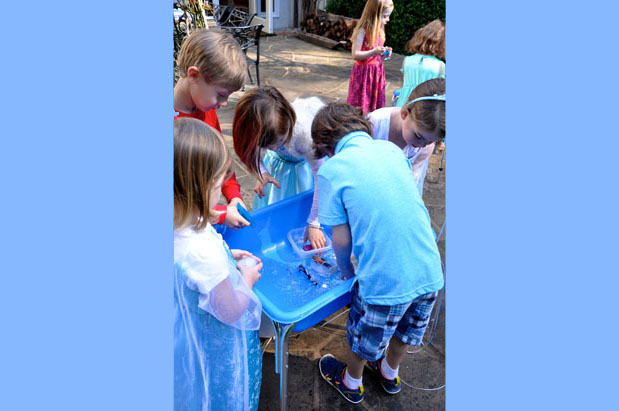 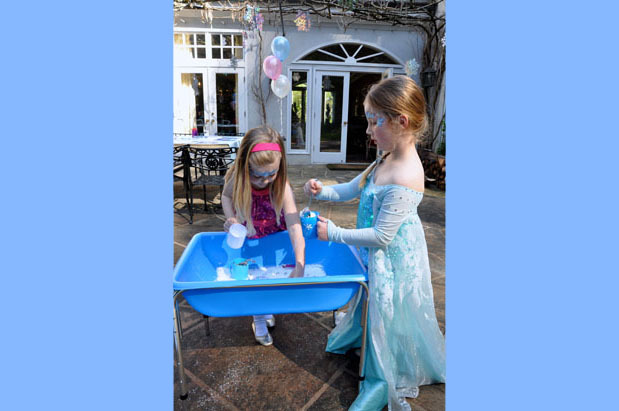 Imagine: skies filled with shimmering snowflakes, tables covered with glistening jewels, and a sensory table filled with snow! 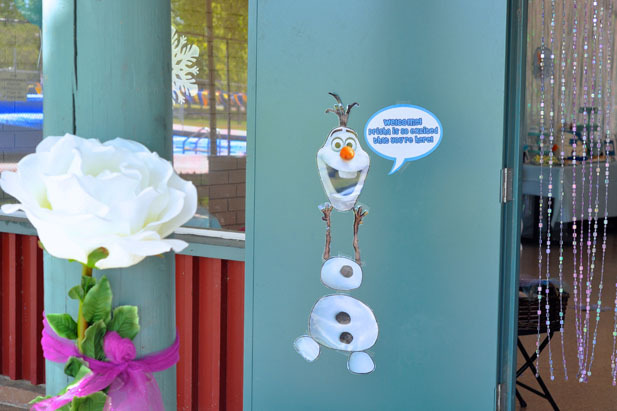 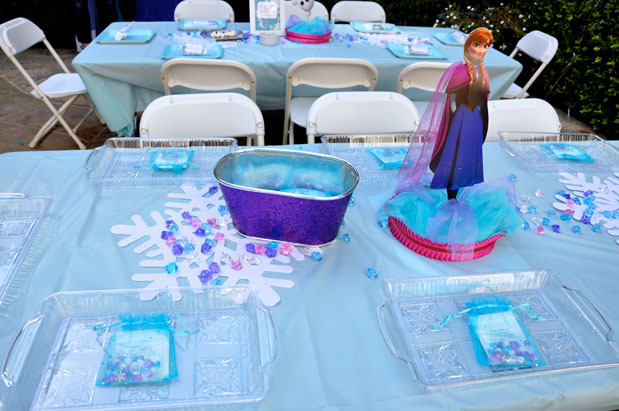 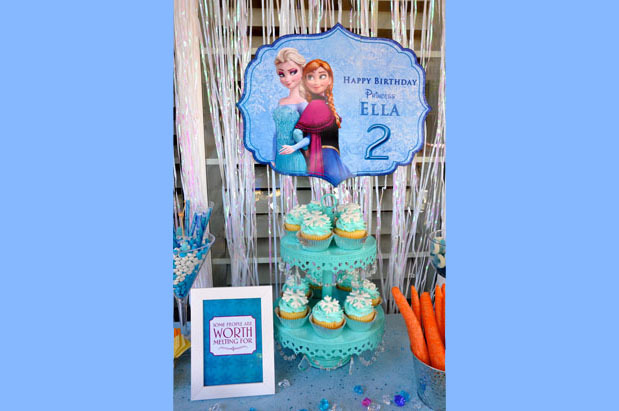 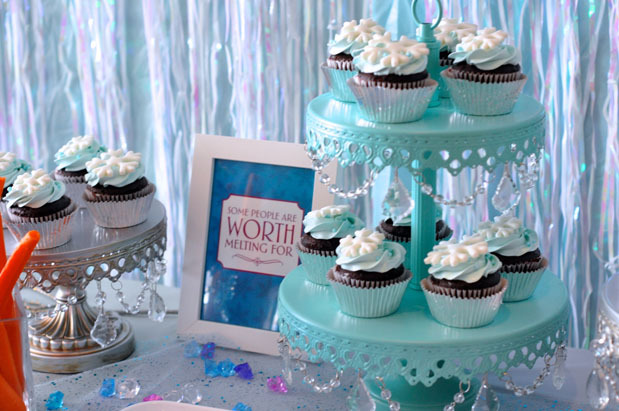 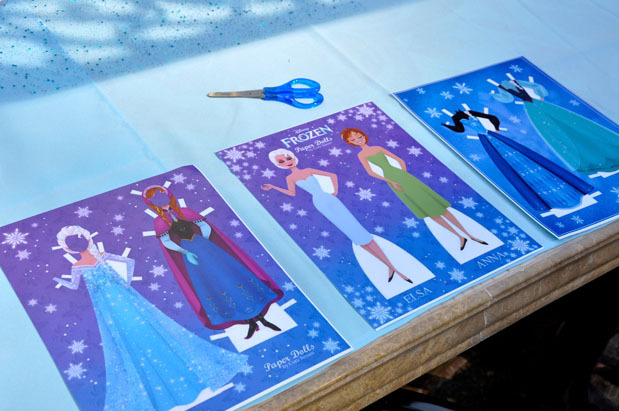 Life-sized Elsa, Anna, and Olaf will smile with approval as we delight all with enchanting decorations, activities, and sweets fitting of the royal engagement! 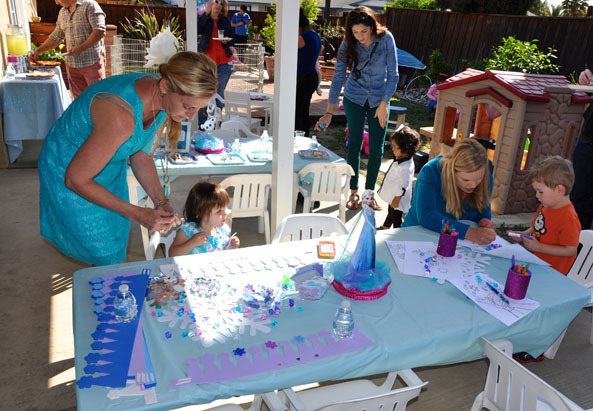 You won’t miss a moment of the fun as we capture all the precious moments with our camera – with you actually in the photos! 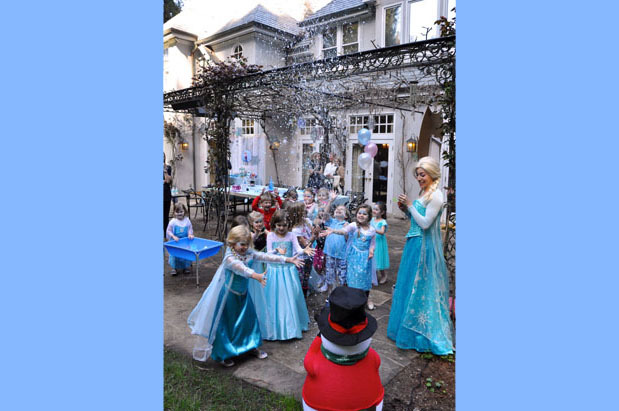 And should you desire a visit from Queen Elsa herself, we have direct access to the palace. 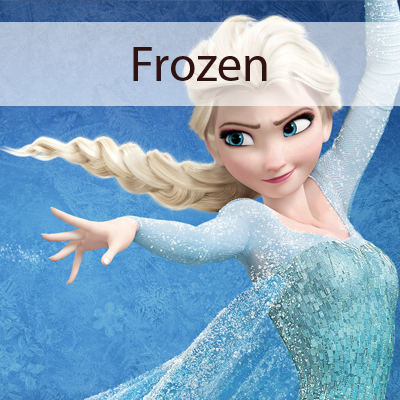 Get ready to relax and Let It Go! 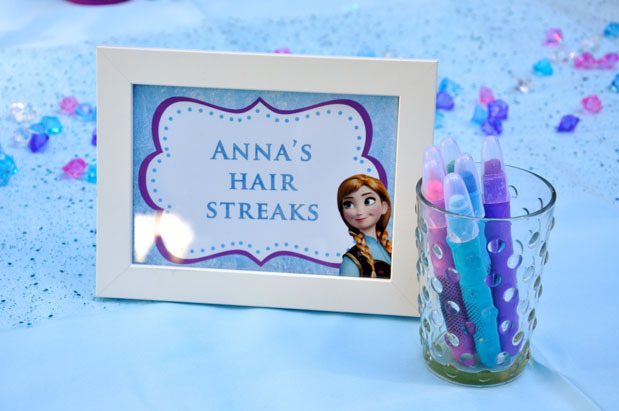 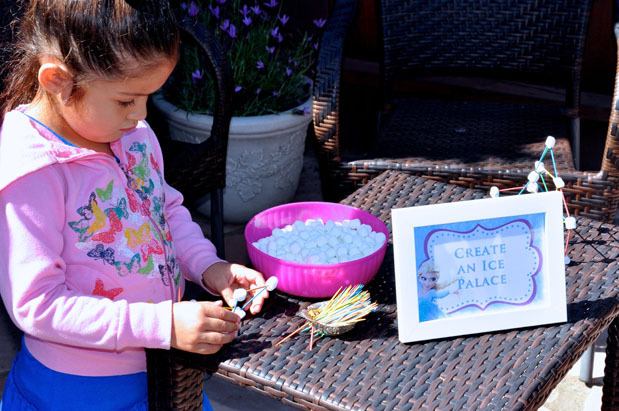 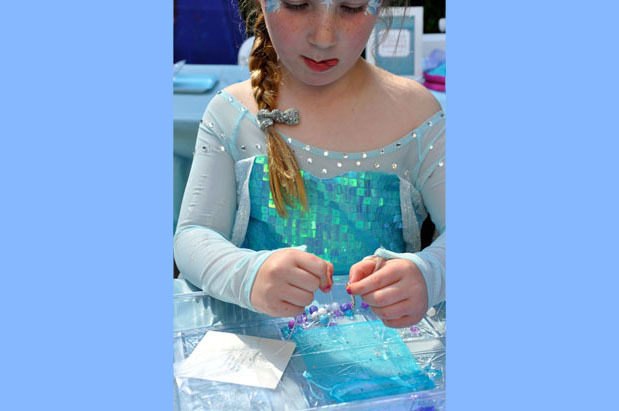 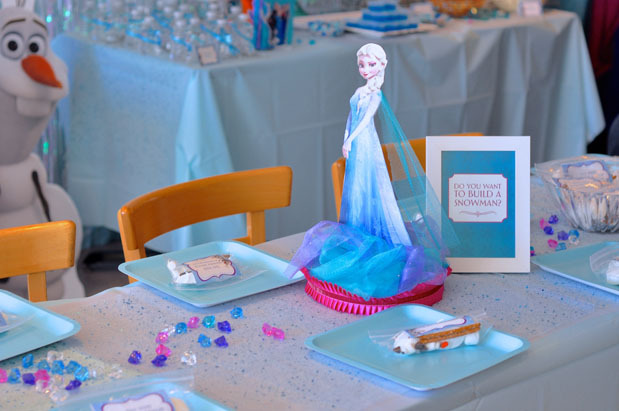 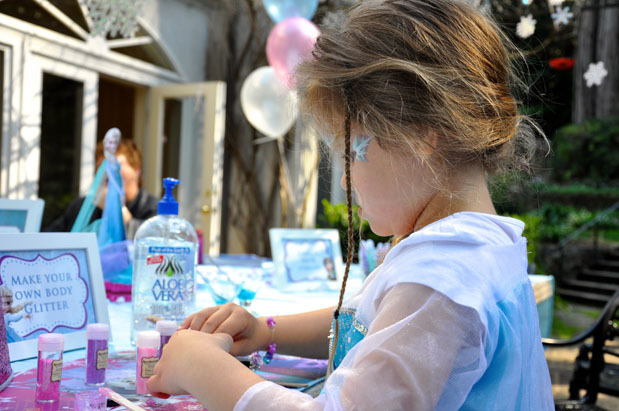 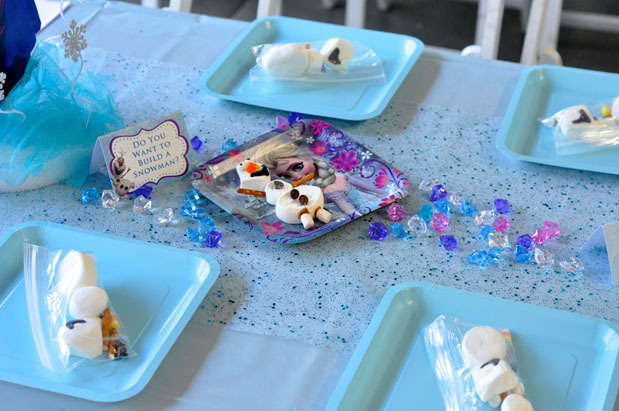 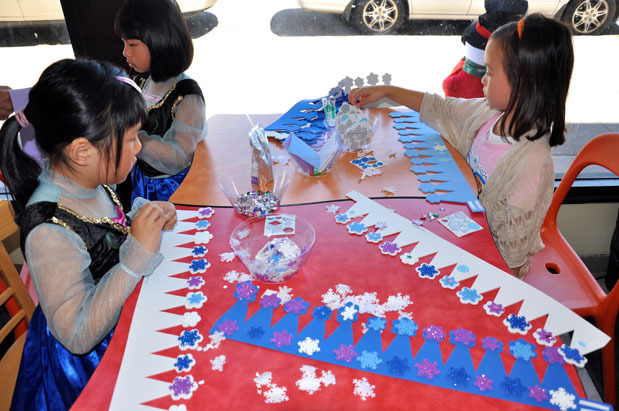 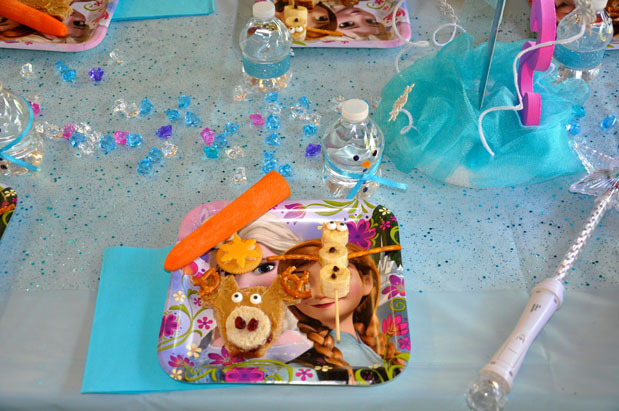 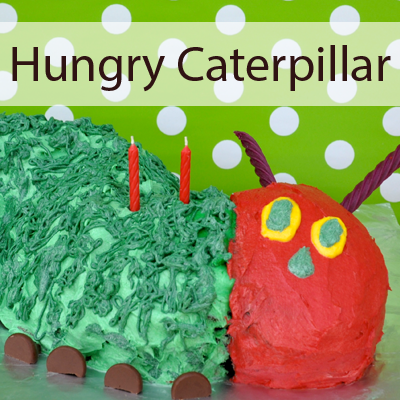 Engaging age-appropriate activities, such as a sensory table filled with snow, build a marshmallow snowman, crown decorating, pin the nose on Olaf, Make your own Lip Gloss, Glitter Tattoos, and more! 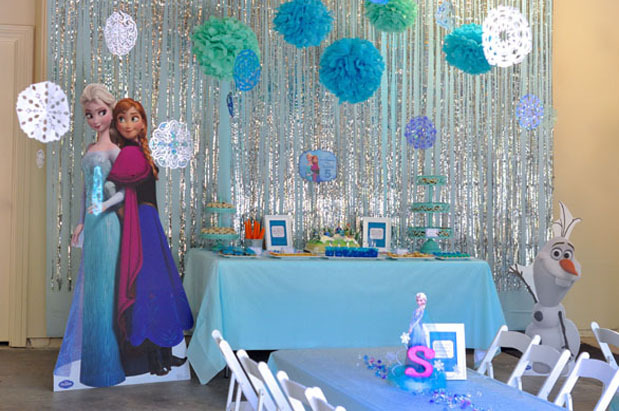 Photos taken throughout the party, capturing all the magical moments – with you actually in them! 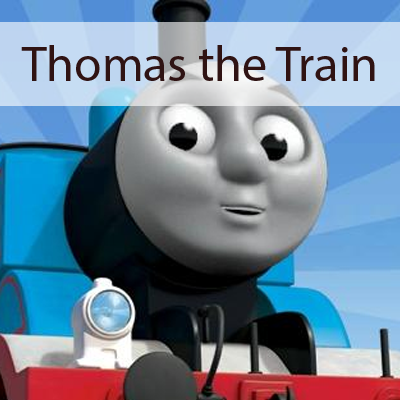 You’ll be able to share the digital album of 150+ edited photos with friends and family. 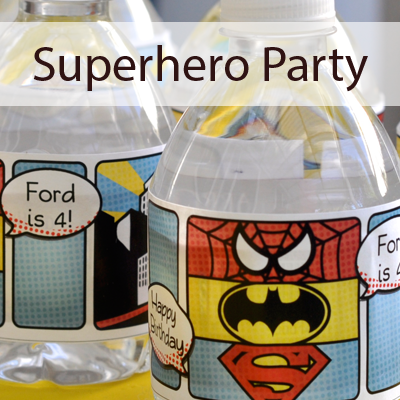 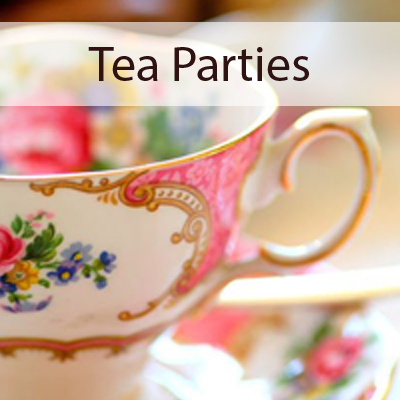 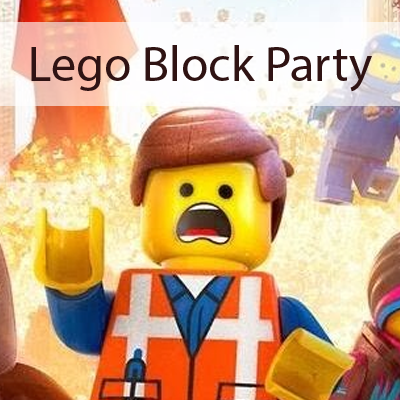 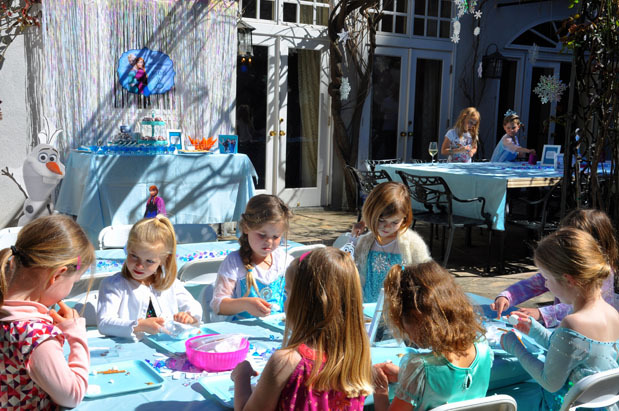 Hands-on coordination to ensure that you can relax and enjoy the party! 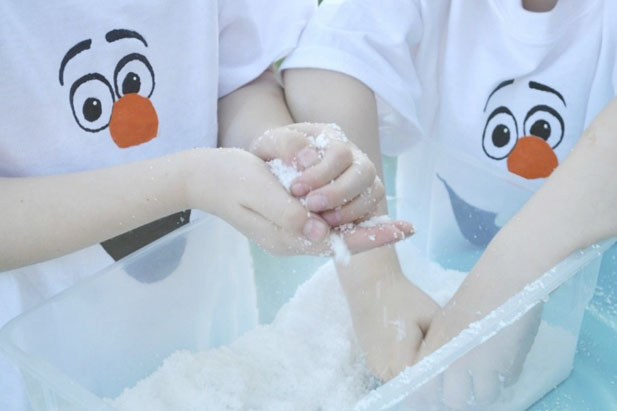 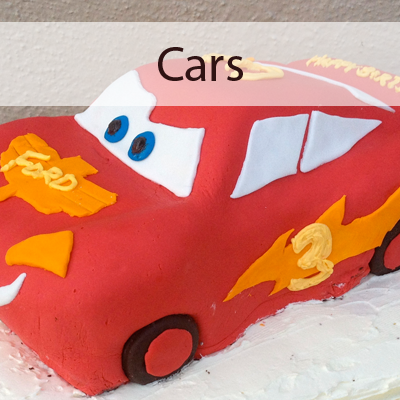 Add on an adorable SNOW-MAKING Snowman! 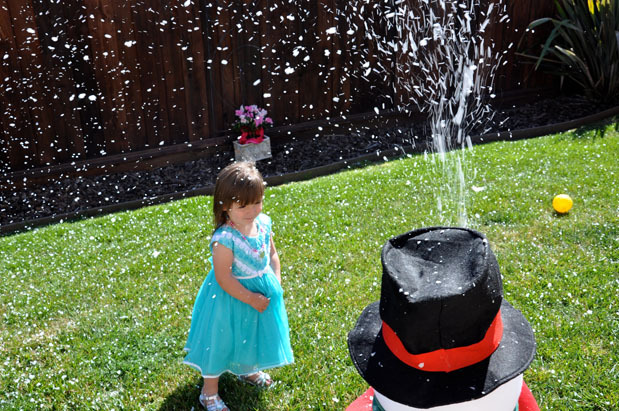 This big guy will transform your space by blowing snow flurries into the air. 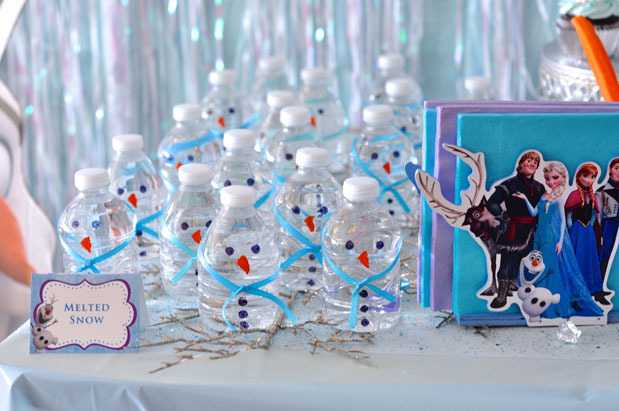 Since the flakes evaporate within 60 seconds, Mr. Snowman can be used to create a magical Grand Entrance to your party, in a room with a tall ceiling, and/or as an outdoor activity. 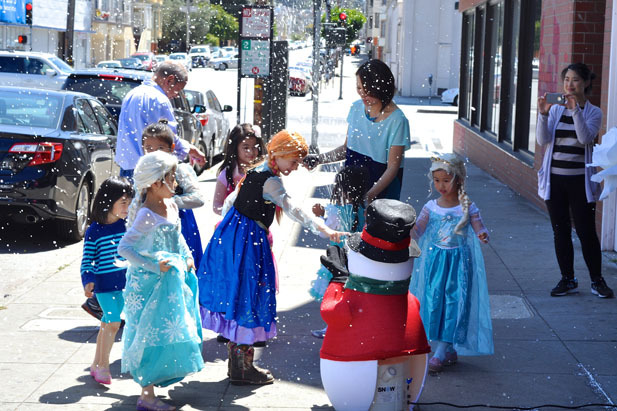 Kids go crazy when they see it snowing!